Gal Gadot Goes Airborne for 'Wonder Woman 1984' Stunt! Gal Gadot is hard at work filming the sequel to Wonder Woman, Wonder Woman 1984! The actress and star of the movie was seen doing two different stunts on Monday (June 18) in Washington, DC. First, Gal was seen gliding past cars while rigged up to a wire pull device. 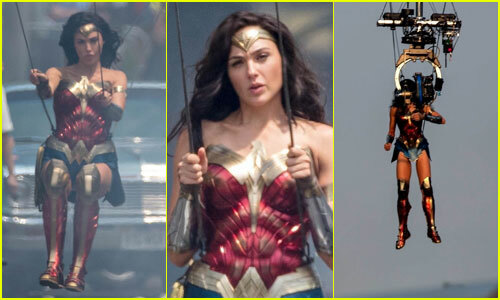 The next stunt, which Gal also used a stunt double for as you can see in some of the photos in the gallery, had Gal soaring through the air in front of Washington DC’s famed United States Capitol building! Gal Gadot and Chris Pine film a scene for their upcoming movie Wonder Woman 1984 on a balcony on Saturday (June 16) in Washington, D.C. 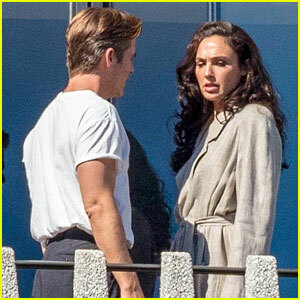 The 33-year-old actress and the 37-year-old actor, who were dressed in costume as Wonder Woman and Steve Trevor, appeared to be filming an argument scene. In between takes, they were smiling and laughing! Gal and Chris were spotted in costume earlier in the week while filming one of their first scenes for the upcoming sequel. Make sure to see Chris wearing a fanny pack! 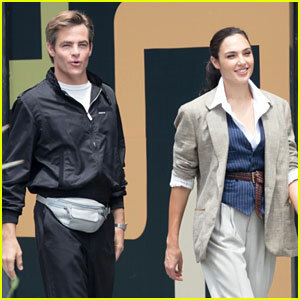 Gal Gadot & Chris Pine Reunite on 'Wonder Woman 1984' Set - First Photos! Check out the first photos of Gal Gadot and Chris Pine back on set together for Wonder Woman 2, aka Wonder Woman 1984! The pair, who play Wonder Woman and Steve Trevor, respectively, were seen on set for the movie on Wednesday (June 13) in Alexandria, Va. Today marks the first day of production. 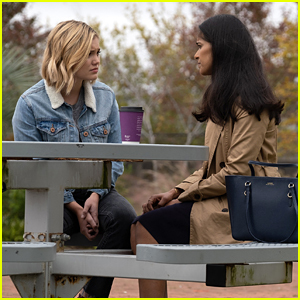 Some first look photos were released earlier in the day from the production, which officially confirmed that Chris‘ character would be back, despite his apparent demise in the first film. 'Wonder Woman 1984' Filming Begins & There's a Big Surprise! Huge news for Wonder Woman fans! The sequel, Wonder Woman 1984 has started filming, and we have first look photos that reveal something huge! Steve Trevor (played by Chris Pine) will be in the second film…and he’s not actually dead!? 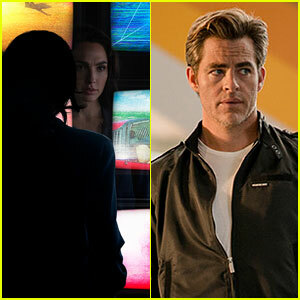 Two new photos from the sequel have been revealed, one with Steve and one with Gal Gadot‘s Wonder Woman. You can see both in the gallery. The new Wonder Woman film will hit theaters on November 1, 2019. The movie also stars Kristen Wiig in the role of the super-villain, The Cheetah. Pedro Pascal also stars. Patty Jenkins also returns as director.